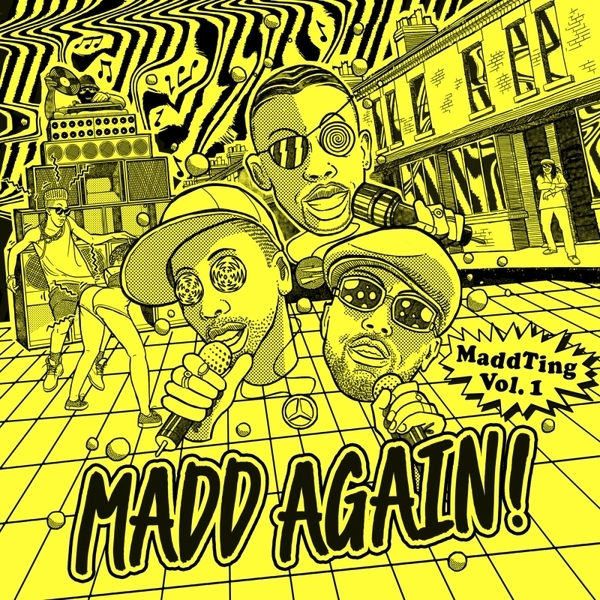 Zed Bias, MC Trigga, Killa Benz and Specialist Moss slay the dance with their debut Madd Again! mixtape album for Swing Ting. Juicing the most nutritious vibes of bashment funky and ragga garage, they step forward as one of the UK's most formidable soundsystem troops, bringing decades 'pon decades of dancehall and rave experience to the fore across ten high pressure riddims. It's signature Swing Ting biz, heavily rooted yet head-forward, ramping from the Ghost-style rolige of 'Koolout' thru the natty single cut, 'Duggu' and party-starting 'Jump Inna My Whip' to seriously nasty gear in the electrified jump of 'Dem Ah Pe' and the grimy force of 'Move, Skank & Wine', whilst Flowdan kills it cold on the ravenous 'Poppit'. Support from Toddla T and Murlo (London, Equiknoxx Music (JA), and Drew Skull (New York). Big tip!